After an absence of several years, the Ballarat Brass Band made a return to the historic Royal South Street competition this year, competing in the VBL State Band Championships on 17 August. There were seven bands in our division coming from all across Victoria to compete. Our band put in many hours of practice leading up to the competition. At one of our practice sessions we had the privilege of being conducted by the Graham Lloyd, who is a well known conductor and composer who wrote the test piece we played on the night, Prelude For A Festival. We put in a really solid performance and were lucky enough to be judged the best band on the night. There were so many great performances on the night that it was a real honour to take out top spot. Here’s a photo of our proud MD Mark Smith with the trophy we won at the contest. Our highest rated piece for the night was our march, Castell Coch, which scored a 45 out of 50 from the adjudicator. Full results for the night can be viewed here. The City of Ballarat Municipal Brass band has made their 8th successive appearance at the hallowed Meredith Music Festival in December 2012. It was a hot, dusty and windy morning, but the punters still showed up in force. Support for the band at this festival grows every year, and as well as the usual chants and cheers of encouragement, some audience members even went to the trouble of making a witty banner. After waking up any fuzzy-headed late sleepers with a bunch of fanfares, the band took the stage, and played a mix of old favourites and more recent additions to our repertoire like Riders in the Sky, Angels and Bohemian Rhapsody. 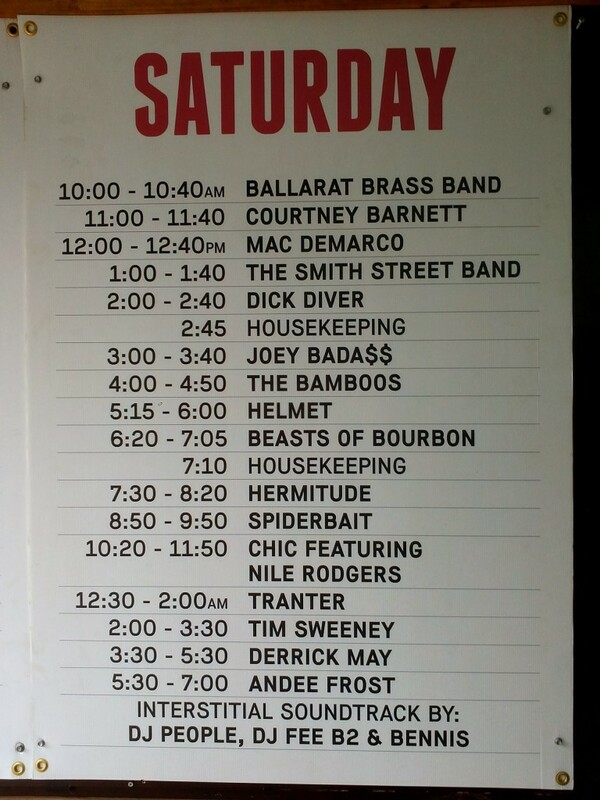 It’s always an honour to play at Meredith, and this year we shared the stage with some hugely successful bands like Regurgitator, Turbonegro and Primal Scream. Of course the work of a brass band is never complete, and after packing up we headed back into Ballarat to play Christmas carols on Sturt Street. We love the opportunity to play at Meredith, and hope there will be many more to come! 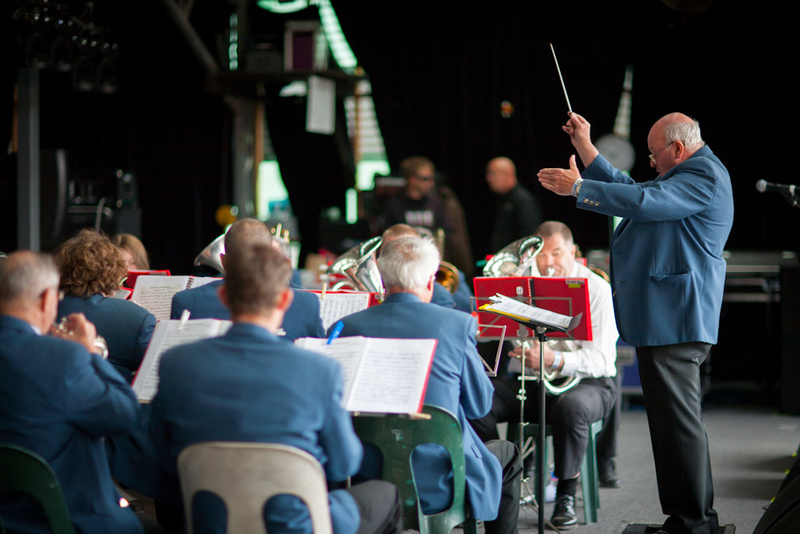 The band made its annual trip to Mt Gambier in November 2012 for the Blue Lake Brass Band festival. We played a song called St Kilda in the Street March competition, and were led by Lindsay Govan, who won the Best Drum Major award in the previous year’s contest. After taking part in the Christmas Parade later that morning, the band headed to the Helpmann Theatre for the Afternoon Music Contest. It was a great privilege to share the stage with so many great brass bands from around Victoria and South Australia, and we were lucky enough to take out first place in our section. Full results from the weekend can be viewed here. It was a great weekend all round, and we can’t wait to get back to Mt Gambier again in 2013! Welcome To Our Web Site!!! 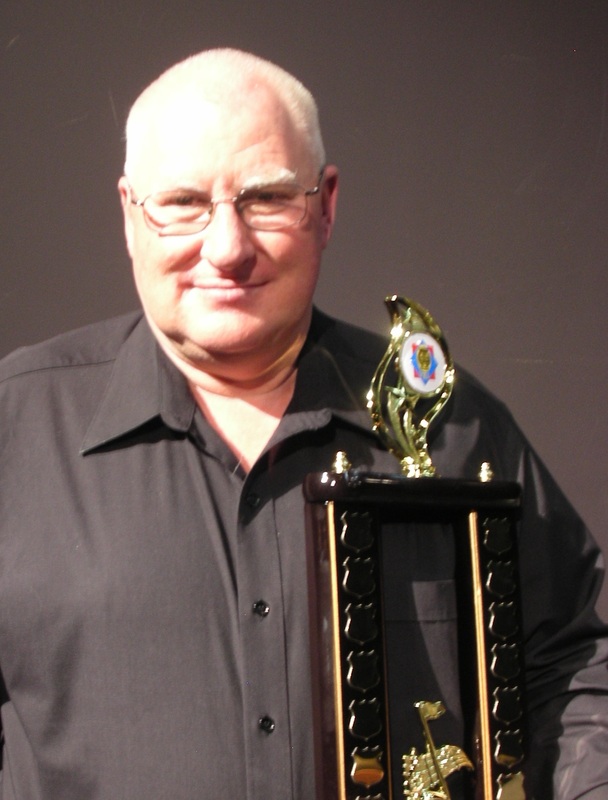 Howdy folks, and welcome to the official website of the City of Ballarat Municipal Brass Band! This is where you’ll find all our latest news, photos and videos from our performances, so be sure to check in regularly. You can also access some info on the band’s history and contact details by clicking on the links at the top of the page. We look forward to seeing you at one of our performances soon!